Two years ago, prominent activist Sombath Somphone vanished from the streets of the Lao capital Vientiane. Although the authorities could give answers, they have remained silent to this day, says HRW’s Phil Robertson. On the evening of December 15, 2012, civil society leader Sombath disappeared without a trace. He was on his way home from the office when he was pulled over at a police checkpoint. The rights activist was later taken to another vehicle and driven away. His whereabouts still remain unknown. Right from the beginning, it is widely believed to be a case of enforced disappearance, with many suspecting the Southeast Asian nation’s Communist one-party government to be behind the abduction. The government, however, has so far firmly denied any responsibility for the incident. The Sombath case stirred an international outcry, with prominent figures like Hillary Clinton, John Kerry and Desmond Tutu calling for his safe return and urging the authorities not to block a thorough investigation. 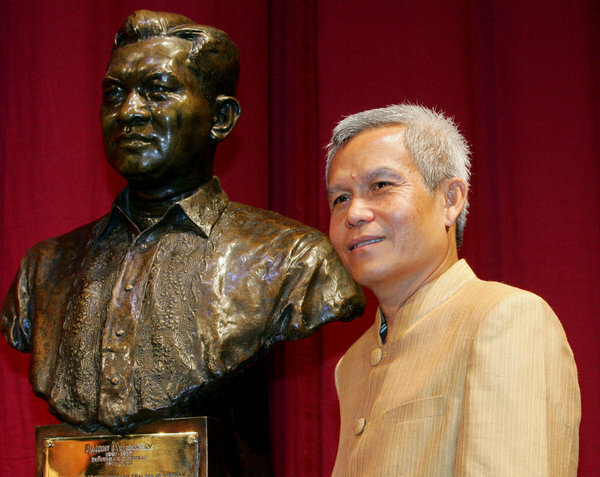 Sombath had for decades campaigned for the rights of the land-locked nation’s poor rural population and the protection of environment. In 2005, he was awarded the Ramon Magsaysay Prize, considered Asia’s equivalent to the Nobel Prize. In a DW interview, Phil Robertson, Asia expert at Human Rights Watch, strongly criticizes the Lao government for their hard stance. DW: It has been two years since Sombath went missing. Are there any news concerning his whereabouts and his fate? Phil Robertson: No, there’s been very little additional news about his whereabouts or what has happened to him. What we know is that Sombath was taken away as seen in the CCTV video of December 15, 2012, and there are reliable sources that said he was still in the custody of the authorities in Vientiane later that night, but then little more is known after that. The Lao police’s investigation has been a complete joke so far. The authorities know far more than they are letting on, and it’s really become quite clear that the government’s investigation is a sham, designed to draw out the time and frustrate those demanding answers – presumably with the aim of getting them to finally give up and forget. But two years on, we’re not going to forget, and we’re going to remain committed to supporting his wife, Shui-Meng Ng, and family, in their demands for answers. I’ve lost count of the number of offers of technical assistance by European and North American police forces to the Lao police for their investigation, but all of those offers have been refused. As a recent report from the International Commission of Jurists shows, there are many lines of investigative inquiry to be pursued if the Lao government were interested in doing the sort of thorough investigation required by international human rights law – but instead, they are engaged in a cover-up, and a campaign of enforced silence in Vientiane to prevent anyone from saying more about Sombath. The many governments providing development assistance to Laos should make a big issue of this and demand a real search for the truth of what has happened to Sombath. From the very beginning, the Lao government has denied that it had anything to do with Sombath’s disappearance. Is there any chance that someone other the government is responsible for this? The Lao government has been lying from the top on down when it comes to the Sombath case. At the start of their inquiries, they freely admitted that the person pictured in the CCTV footage was Sombath – but now they are claiming that maybe it was not him. So if anything, the investigation is not making any progress. It’s rather going backwards. Lately, Lao diplomats have been trying to peddle a new theory that Sombath’s work brought him into conflict with Thai mafia elements involved in Laos and that it was the Thais that did something to him. Of course, there is no evidence of that. This is yet another part of the officials’ ongoing effort to confuse and misinform, and desperately try to transfer blame to somewhere else other than the Lao government. For the second anniversary of his disappearance, a group of legislators, civil society leaders and activists launched the so-called Sombath Initiative. What does this Initiative stand for? What the Sombath Initiative stands for is an ongoing campaign for answers about what happened to Sombath. The initiative calls for justice for him and his family, and reminds his vision and work in participatory rural development. It will counter the effort by the Lao government to “buy time” with their bogus investigation and press people to forget. The Initiative will ensure that no one forgets the case. Furthermore, it will also defend Sombath’s reputation and his work from the kind of scurrilous rumors that the Lao government is trying to spread to somehow discredit him. Do you reckon that the new initiative could actually achieve something in order to solve the case and compel the government to start a thorough investigation? The Initiative will bring together all of Sombath’s friends, allies, and admirers from home and abroad to press the Lao government to change its views and start a real investigation into the enforced disappearance of Sombath. The challenge in disappearance cases is always to sustain the interest and momentum of those who care against the efforts to cover up the truth. And often, these battles take years. We hope that it will not take that long to find out what has happened to Sombath, and ideally see him returned to his family, but the Sombath Intiative is built to sustain a campaign indefinitely until we get the answers we seek. What effect did the disappearance of Sombath have on others? What has changed since then? An unprecedented chill has come over grass-roots villages and communities in Laos of the sort not seen since the early years after the Lao People’s Revolutionary Party took over in 1975 and started sending perceived opponents to ​brutal “re-education camps”. 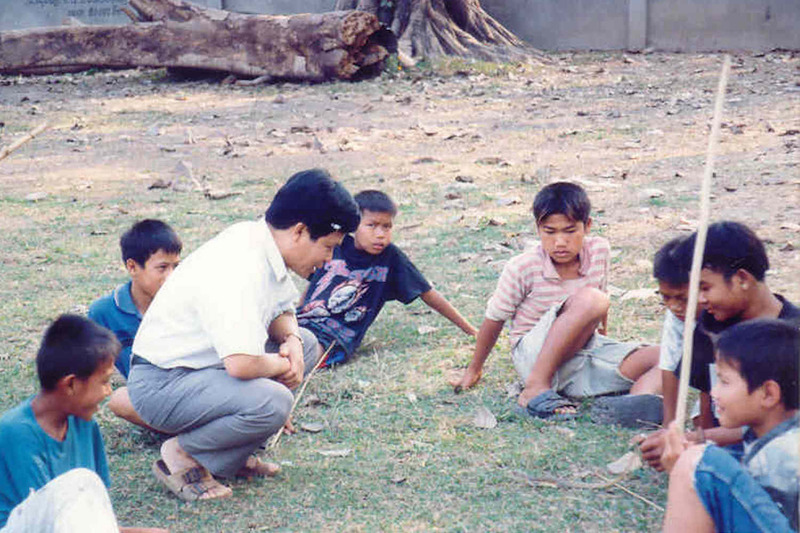 The difference between then and now is the existence of various civil society groups and non-profit associations, led by many who received training and encouragement from Sombath and the Participatory Development Training Center (PADETC) that he founded. Among these groups, there is now great fear and self-censorship because they see that if such a prominent civil society leader as Sombath can be taken, then no one is safe. So a wall of silence has descended in Vientiane. On the government side, only a few persons are authorized to give the standard government line and everyone else says nothing. On the civil society side, people are looking over their shoulders and are afraid of talking about Sombath. Sombath has been missing for two years now. In your opinion, what are the chances that he is still alive?